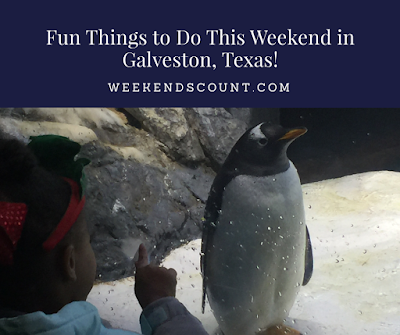 Weekends Count Magazine - Education & Family Travel: Fun Things to Do This Weekend in Galveston, Texas for Families! Fun Things to Do This Weekend in Galveston, Texas for Families! While Galveston, Texas is one of the largest cruise ports in the United States, there's much more to experience in Galveston. If you want to plan a weekend vacation, definitely put Galveston on your list! Pier 21 is next to the Galveston Cruise Terminal. You can spend an entire day enjoying the restaurants and activities there. Here are just a few to consider putting on your trip itinerary. 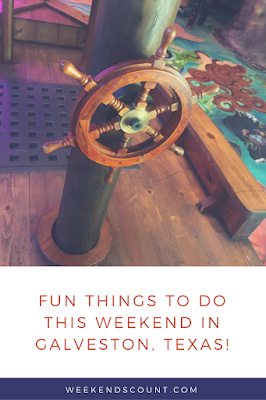 The Texas Seaport Museum is a great way for kids and parents to have fun and learn at the same time. Galveston was such an active immigration site that it was known as the "Ellis Island of the West!" Visitors can step in the shoes of people who traveled to the United States to experience a new and better life. Kids and parents can also dress up in clothes in the style worn by travelers to the United States in the past! You can also learn about Galveston's role in military history. Just outside the Texas Seaport Museum is the Tall Ship Elissa. The Elissa served as an immigration vessel bringing new settlers to the United States at the Port of Galveston. After being used for other purposes throughout history, it was bought and returned to its home in Galveston. Kids and parens can learn about the parts of a ship as well as how people lived aboard ships. The ship features a lower level with a kitchen and living quarters as well as an engine room. You can watch a video at the Texas Seaport Museum that includes some information about the ship. As a port city, Galveston has faced several hurricanes in its history. The highest marker on the image below shows the water level from the Great Storm of 1900. This hurricane was devastating to the region. The Gulf of Mexico is a center for offshore drilling of oil and gas. The Ocean Star Offshore Energy Center is an actual rig that was moved and converted to a museum. This museum is a great place to learn about the oil and gas industry as well as STEM Education in general. This exhibit provides examples of the many products we use on a daily basis that are made from petroleum. Mom had so much fun pretending to be transported to a drilling rig! You can even walk around and see the technology on the outside of the rig! The Grand Opera House was destroyed in the Great Storm of 1900 and rebuilt. Great performers like John Phillip Sousa, Anna Pavlova, Tony Bennett, Willie Nelson, Liza Minnelli, and Ray Charles have performed here. Schedule a tour or check out a show during your visit! The Rosenberg Library is a state library, meaning any Texas resident can obtain a library card, but it also serves as the public library of Galveston. The Rosenberg Library even contains an original copy of the Wealth of Nations by Adam Smith, a text many credit as a foundation of economic theory. Published the same year as the Declaration of Independence, it was also viewed as pivotal in shaping the principles of the United States. The library also includes an archive, where artifacts about the history of Galveston are preserved. As a former capital of the Republic of Texas and State of Texas, Galveston has a special place in Texas History. Formerly the Galveston Orphans Home, the Bryan Museum contains many artifacts related to Texas history. When the facility served as the Galveston Orphans Home, the crawl space underneath the stairs in the basement was a place where the children would play. The area is preserved so children today can better understand how children in that time lived. The museum also features a model of the Battle of San Jacinto, where Sam Houston's army defeated Santa Ana's army, winning the Texas Revolution and paving the way for the creation of the Republic of Texas. Moody Gardens has several great places to learn and enjoy the day. The Aquarium Pyramid and Rainforest Pyramid are so much fun! 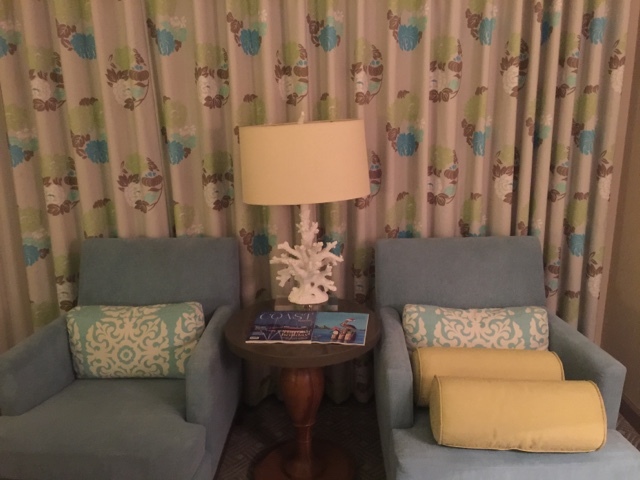 Moody Gardens Hotel is a great place to relax after a day around Galveston or enjoy the activities in and around the hotel. The hotel is within walking distance of Moody Gardens attractions and Schlitterbahn Waterpark. Moody Gardens Hotel also offers guest complimentary access to all Kids Crew activities at the hotel. Our hotel room had a refrigerator so we were able to keep our food and water cold during our stay. If you're craving seafood, then definitely visit Fisherman's Wharf Seafood Grill, located in Pier 21 next to the cruise terminal. Whether you prefer fish, crab, shrimp, or gumbo, this restaurant will definitely not disappoint. You can also get great water views while you eat! Located in the Medical District, Farley Girls Cafe serves All-American Cuisine. Whether you're hungry for pizza, burgers, sandwiches, pancakes, or waffles, you can't go wrong at this favorite of Galveston locals. The Garden Restaurant in the Moody Gardens Visitor Center offers a variety of options for lunch and dinner at reasonable prices! During the holidays, the restaurant offers a dinner buffet on the nights of the Festival of Lights as well as a Christmas Day Buffet! Cafe in the Park offers an outstanding breakfast buffet and has a variety of options for lunch and dinner. As a bonus, children under six eat free! After a weekend homeschool trip to Galveston, you'll be as happy as this momma! What did we leave out? What should we visit, eat, or stay the next time we visit Galveston?